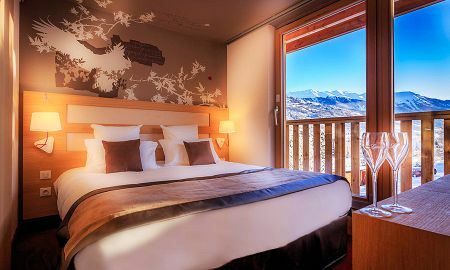 The Grand Aigle Hotel & Spa is a comfortable and modern mountain chalet in the French Alps, in the Serre Chevalier Ski Resort. 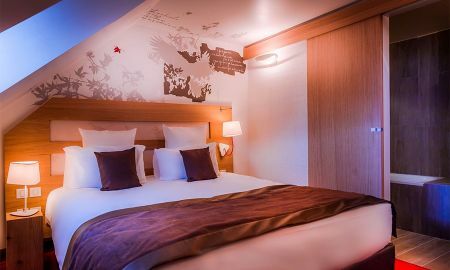 Offering 60 cozy, elegant rooms, the Grand Aigle hosts a spa, seminar rooms and a restaurant in order to grant the most entertaining and satisfying experience for whomever wants to spend a good time in the snowy mountains. 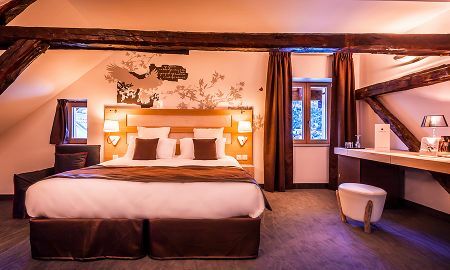 Located in an exceptional natural environment, between famous mountains and medieval villages, the Grand Aigle Hotel & Spa lays in an area with a rich cultural heritage, which the guest can discover easily before or after skiing and enjoying the services that the resort can offer. 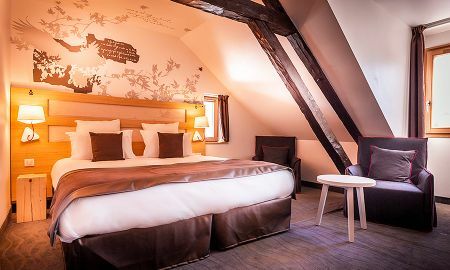 The resort’s decoration, both in its common spaces and in the rooms, is inspired by the mountain culture, using stone and wood, in order to bring to the guest a real breeze of fresh air, as well as an uncomparable comfort. Guests can enjoy a continental breakfast at the hotel’s restaurant, as well as traditional mountain cuisine. The hotel also counts with a bar for lighter drinks and snacks. The resort’s spa offers products by Pure Altitude, which is a cosmetic and spa brand, from Megève in Haute-Savoie. The products are mainly formulated with edelweiss, the emblematic plant of the Alps that has naturally become the symbol of the brand. The spa offers a wide range of facial treatments, body care and massages, as well as a jacuzzi and a sauna. 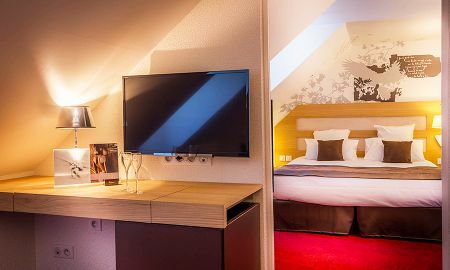 Briançon Train Station is 10 km away from the The Grand Aigle Hotel & Spa and Le Monêtier-les-Bains is an 8-minute drive from the hotel.